Ileocecal valve syndrome is known as “The Great Mimicker” and is easily overlooked due to the fact that the signs that it presents can be linked to many other imbalances and disorders. Are you wondering what ileocecal valve syndrome is? The ileum, the last portion of the small intestine leads to the cecum, the first portion of the large intestine. The division point is the ileocecal valve, the part of the intestine responsible for allowing food to pass through the small intestine into the large intestine in addition to being a one-way valve designed to prevent waste materials from reentering the small intestines. Pay attention to dietary habits and keep the emotions in check, both play a role in ICV. Considering where the ileocecal valve is located in the solar plexus chakra and its relation to the digestive organs. The solar plexus is an energy hub and is the 3rd chakra located above the belly button and in the right abdomen. The solar plexus is responsible for personal power, confidence, and self-esteem. 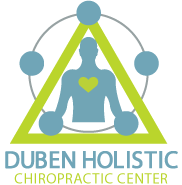 Duben Holistic Chiropractic Center is a leading chiropractic office in Thousand Oaks CA. We will always treat your pets like family and will always the top care. You can schedule an appointment with us by calling 805-494-1339 today!